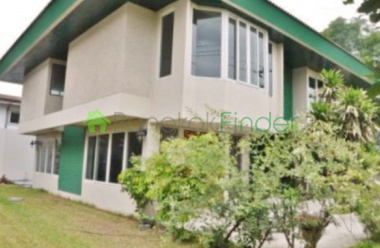 House for sale 4 bedroom PattanakarnThis house for sale in the Pattanakarn section of Bangkok has a nice yard area and a fence, not white picket but you get the idea. Its very large with over 374sqm of living space and nice covered area as well.There is 24 hour security and a common fitness area,split level construction. The house has to be seen to be appreciated. 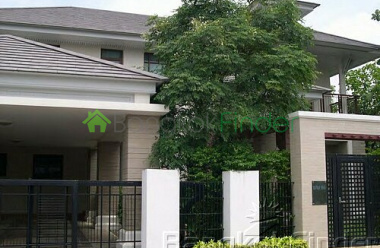 Bangkok Houses for sale Pattanakam Very exclusive family compound on Pattanakan road, close to expressway and just 15 mins onto Sukhumvit road, as well as 15 mins to Bangkok Pattana School. Close to new airport, good shopping and private areas. Private pool villa 4 bedrooms 340 sqm Patanakarn Stunning villa with a good sized private pool and garden in this very exclusive compound popular with expats on Soi Pattanakarn 30. There are four ensuite bedrooms with a maid's room and own seperate bathroom. Comes unfurnished but furniture can be discussed. 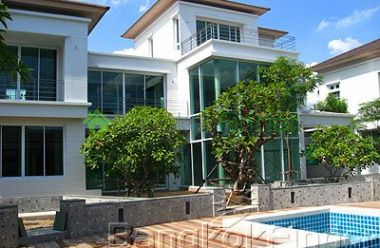 4 bedroom house Pattanakarn for rent A beautiful, recently constructed house for rent with high ceiling and plenty of natural light and three spacious bedrooms upstairs, plus a TV room, as well as a fourth bedroom on the ground floor that can also be used as a study. House has two kitchens and separate living and dining areas. 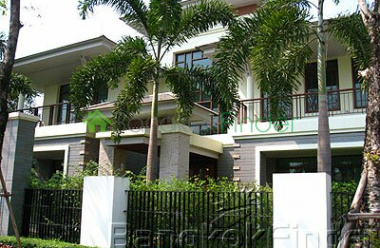 4 bedrooms 480 sqm house Pattanakarn rent Newer house with high ceilings and plenty of natural light. There are four spacious bedrooms upstairs plus another room on the ground floor that can be used as a study or TV room. House has two kitchens and seperate living and dining area. Ready to move in. 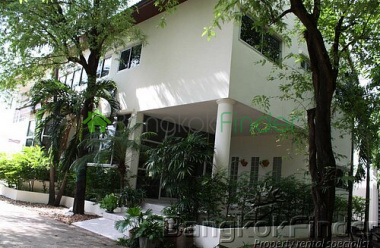 Huge house with its own pool for rent with 4 bedrooms This is a large, renovated house with an extensive garden and private pool in Panya village, located in Pattanakarn just 15 mins drive to Thonglor, Ekamai BTS and Bangkok Pattana School.This is a superior place for a large family with a large yard , garden . Imagine the barbecues by the pool, entertaining guest and family you could have. 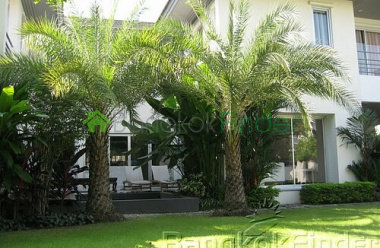 Pattanakarn house for rent 5 bedrooms An amazing luxury house for rent in a quiet, sophisticated gated community with full facilities and well within reach of downtown attractions, but with a great selection of shops, malls and restaurants within easy reach. 3 bedrooms 600 sqm house for rent Pattanakarn Stunning newly developed single house in a great location on Pattanakarn Road, convenient for easy commute to the business districts and also the expressway to the new airport and the eastern seaboard. A spacious living area encompassing 3 full bedrooms and 4 bathrooms is spread over two floors, and comes completely fully furnished. 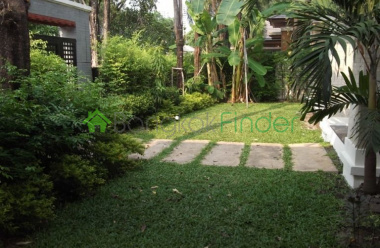 House in compound 4 bedrooms 400 sqm Pattanakarn The house has just been fully renovated and looks completely brand new. It consists of four bedrooms, four bathrooms, large living and family space, an indoor kitchen, an outdoor kitchen, and one mate's room.